Being a busy mom of 3 means that I might have to do my workout with one, two or all of them around or joining me. If they around (and refusing to nap like Mr. C) encourage them to join you. Now that they are used to me working out most of the time they join me for the first little bit then do their own stuff. 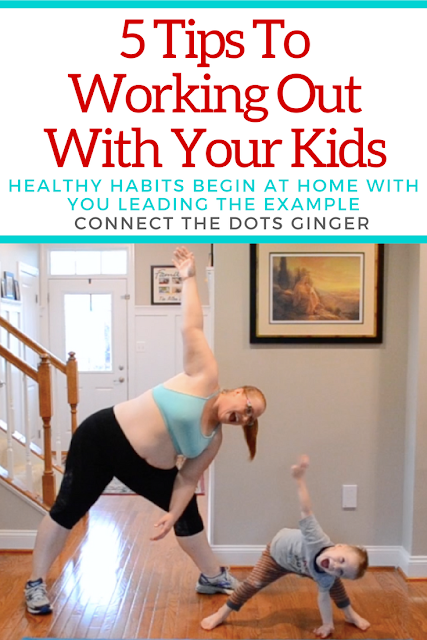 Don't miss a workout just because a kid refuses to nap or wants to be around you more. Use that as an opportunity to help them get active or at least to show them that taking care of your body is important to you! You will never regret your workout you did. Only the one you missed doing. 1) Always invite your kids to join you. Better to let them do what you are doing and see if they like it. 2) Be safe and make a safe environment for your kids. Encourage them to use their toys as their "weights" so that they don't use yours and accidentally drop them on their little toes. Or invest in "kid approved weights" for your kids to use so they feel like they are just like you. Check out these weights for kids! When the kids see that you are having fun, they will find it fun which will help establish a healthy relationship with exercise. The last thing I want is for my kids to think that exercise is torture, or the only way they will be able to eat that cupcake without feeling guilty or remorse. Open up that conversation about how good exercise is for our bodies. Exercise is not about losing weight or being skinny. It is about our bodies being able to move better, feel better. Get stronger and help improve our thoughts. The biggest thing I have noticed is that my kids know when I am exercising. The clothing I'm wearing. The things I need set up. And often I see them just start to do their exercise because they want to do it for the day. Again it is about building a healthy relationship for them with exercise. Be that example of what living a healthy lifestyle is all about. 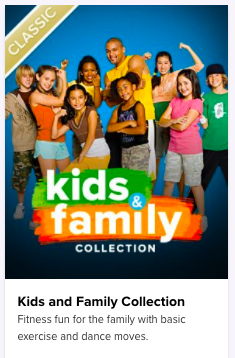 If you are looking for exercises to do with your kids, Beachbody On Demand has an exclusive KIDS AND FAMILY CHANNEL. It comes included with your year membership to Beachbody On Demand. Works Cited - Paul, B. “Boron Testosterone Review - Benefits, Side Effects & Dosage Guide!” Testosteroneofficial.Com Ie. Testosterone Official, 7 Nov. 2018, https://testosteroneofficial.com/research/boron/. Reference - Paul, Benjamin. “GenFX Clinical Studies.” HGHOfficial.Com, i.e. HGH Official, https://hghofficial.com/genfx/.Accessed 5 Feb. 2019. Work Cited - Logan, Paula. 2019. “Water Pills Review - Doctor Recommended Formula.” Phenofficial.Com, i.e. PhenOfficial. Accessed February 5, 2019. https://phenofficial.com/water-pills/.